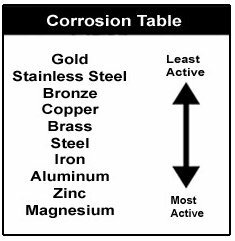 Corrosion Monitors – AC DC Marine Inc.
Metal parts underwater are subjected to two basic types of corrosion: galvanic corrosion & stray current corrosion. Your boat, propeller, & motor may be harmed if not correctly monitored with AC DC Inc. instruments and avoided. Galvanic corrosion caused by nearby grounded steel structures may occur when you dock your boat & use shorepower. 1. Defining areas that are most vulnerable to electrolysis. 3. Knowing the location of the sensitive sites in all thru-hull fittings. Bonding wires are usually attached to thru-hull fittings with wires to zinc plate. 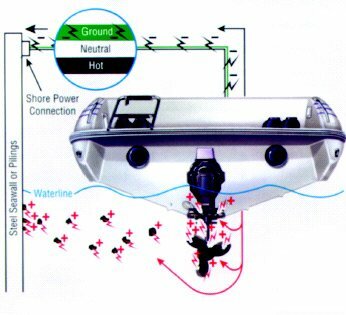 Assure that bonded thru-hull underwater lights, trim tabs, and other appendages are properly connected.